Tell us what kind of content you would like to see more of on our page! Simply leave a comment below to win great prizes! 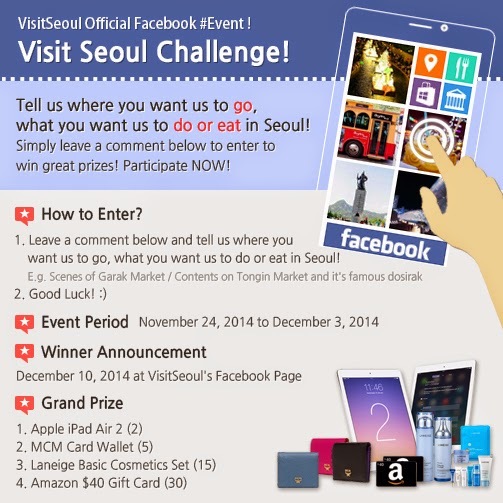 2.Leave a comment below and tell us what you want us to go, do, or eat in Seoul. 2. Any fraudulent and/or automated entries will lead to disqualification of an Entry.